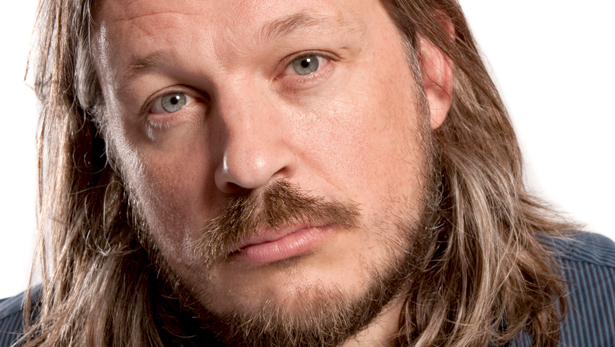 Richard Herring enjoys a well-earned reputation as an Edinburgh Fringe legend. A must see for many comedy fans attending the festival, he has proven to be a consistent and guaranteed source of laughs. This year he’s back, and Herring delivers with a great show filled with belly laughs, intricate gags and the delightful sight of a 47-year-old man dancing on a sofa as Jesus Christ. The hour is definitely deeper than a collection of gags. It’s not life changing but there are clear themes of company vs. solitude along with movement and inertia. Particularly the former as Richard regularly takes issue with “No man is an island”, offering his own experiences and thoughts as to why everyone is an island at some point. While there is a lot of nostalgia, the show’s title harks back to an old joke of his and there is a brilliant use of what Richard describes as his best ever joke, there’s no trading on past glories here. Richard takes time to look forward, with a new baby on the way and a decision to make about whether to return to the Fringe again. He wrestles with these throughout the show, thankfully not in a morose way but with some bum jokes thrown in. There was, now and then, a sense that Richard was growing weary of this run and that maybe it had been one of the more difficult for him in recent years. This didn’t hold the show back, but brought out more anger and frustration in some of his delivery, which at times just made them funnier. The callback laden ending is truly wonderful and the highlight of the show. Richard is at his brilliant best here and the personality that comedy nerds have fallen in love with over the years shines through. The audience left smiling and laughing as they usually do from a Richard Herring show.